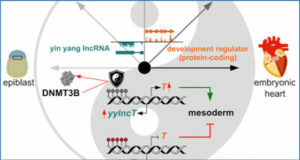 The human genome encodes thousands of unique long non-coding RNAs (lncRNAs), and these transcripts are emerging as critical regulators of gene expression and cell fate. 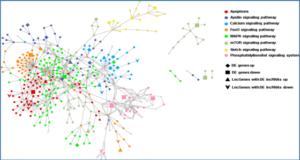 However, the transcriptional regulation of their expression is not fully understood. 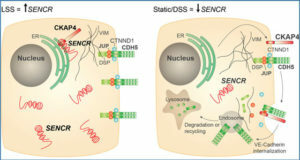 The pivotal transcription factor E2F1 which can induce both proliferation and cell death, is a critical downstream target of the tumor suppressor, RB. 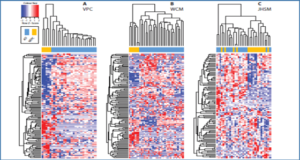 The retinoblastoma pathway is often inactivated in human tumors resulting in deregulated E2F activity. 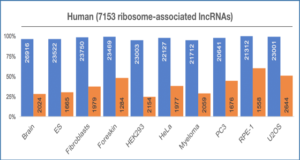 Here, researchers from Bar Ilan University, Israel report that lncRNA XLOC 006942, which we named ERIC, is regulated by E2F1 and, most probably, also E2F3. They show that expression levels of ERIC were elevated upon activation of exogenous E2F1, E2F3 or endogenous E2Fs. Moreover, knockdown of either E2F1 or E2F3 reduced ERIC levels and endogenous E2F1 binds ERIC’s promoter. 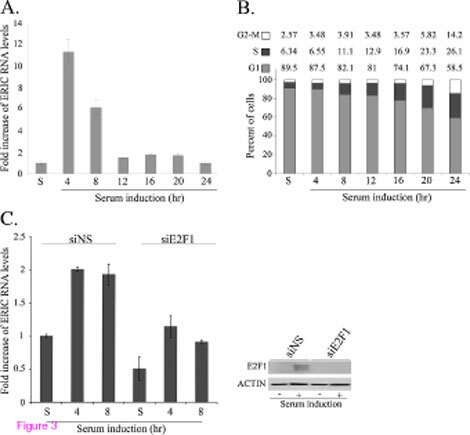 Expression of ERIC was cell cycle regulated and peaked in G1 in an E2F1-dependent manner. Inhibition of ERIC expression increased E2F1-mediated apoptosis, suggesting that E2F1 and ERIC constitute a negative feedback loop that modulates E2F1 activity. Furthermore, ERIC levels were increased following DNA damage by the chemotherapeutic drug Etoposide, and inhibition of ERIC expression enhanced Etoposide -induced apoptosis. 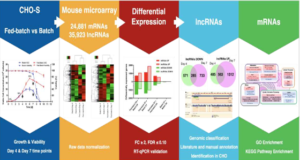 These data identify ERIC as a novel lncRNA that is transcriptionally regulated by E2Fs, and restricts apoptosis induced by E2F1, as well as by DNA damage.